A Barry's Bootcamp app concept. 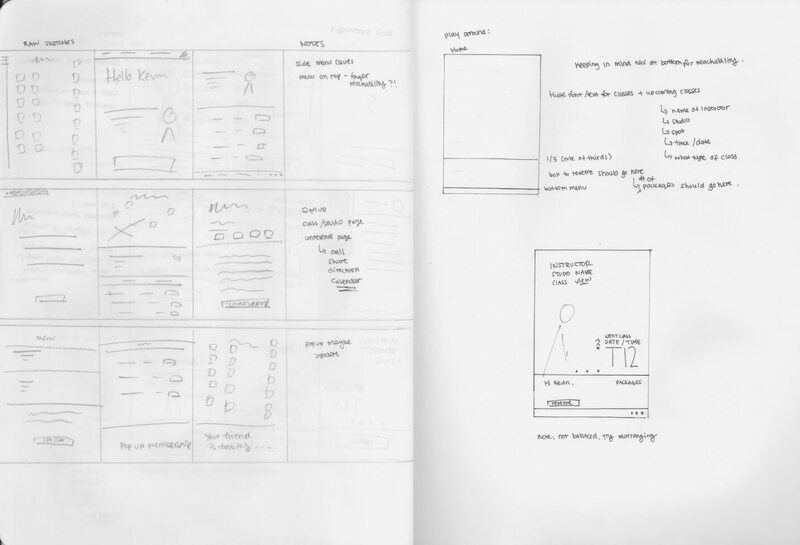 This project was created long before Barry's Bootcamp launched their official app, which was highly requested. 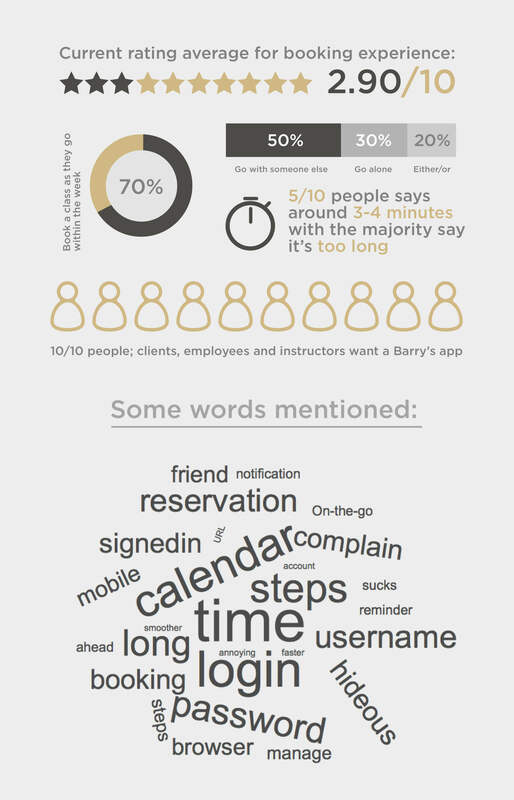 A Barry's Bootcamp app concept. Problem: The process to reserve a spot at Barry's Bootcamp is complicated and its website is not mobile friendly. Proposed Solution: A simple Barry's app that lets its users to be able to reserve﻿, get notified, and gain access to their account. Proposed Solution: A simple Barry's app that lets its users to be able to book and gain access to their account. Concept only, I do not work for Barry's Bootcamp. Currently, the only way to book a spot at Barry's Bootcamp is through its website, and for many, they consider that the mobile site is not user friendly to navigate (especially people are always on the go). This concept mobile app serves as a complement to the user experience to reserve, get notified and have access to their account. A few of the issues include buttons that are not aligned, browsing dates and classes is are quite a hassle with dropdowns and list of spots without visual guidance of where that spot is. 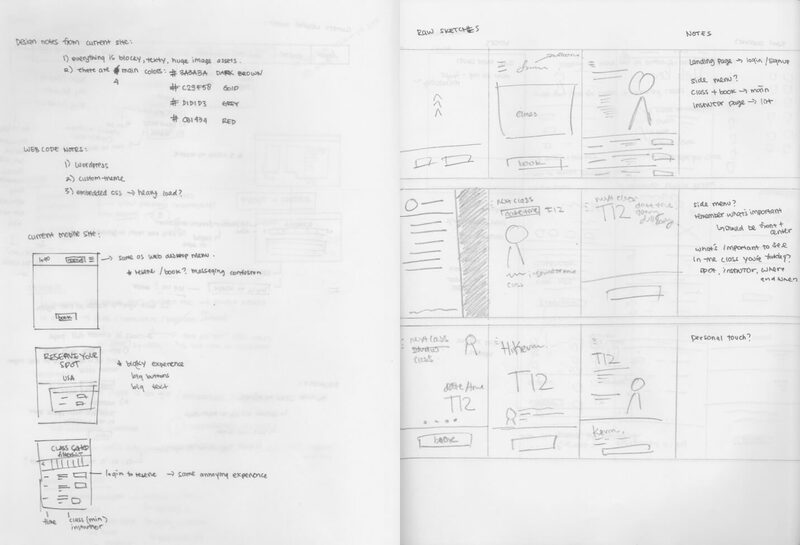 The desktop view of the same page shows a map of the studio and where those spots are. 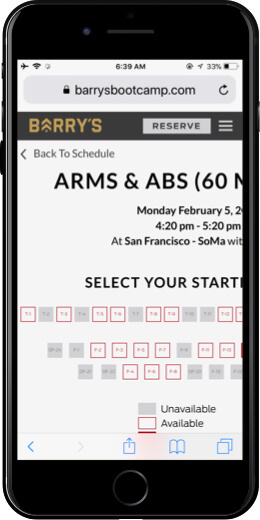 Currently, the only way to book a spot at Barry's Bootcamp is through its website, and for many, they consider that the mobile site is not user friendly to navigate (especially people are always on the go). 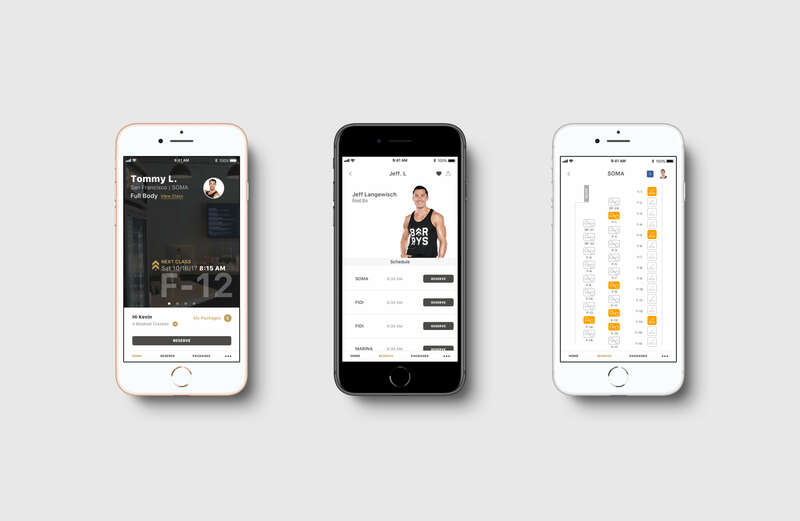 This concept mobile app serves as a complement to the user experience to purchase, reserve, and have access to their account. "I'm always on the go. 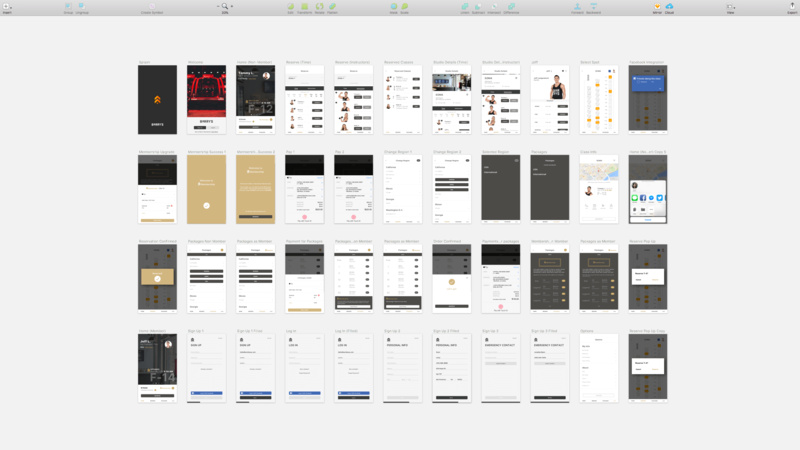 Having a native app is pretty standard for a brand like Barry's. An app would cut a lot of time from typing the URL, login, and navigating through the booking process"
"One of the things that I'd like is the notification to when to reserve a spot in the class. Right now I just have to manage my own timing - apart from a lot of things from work already fillling up my reminders." "It would be great if you could book a class that has your friend in it you know? 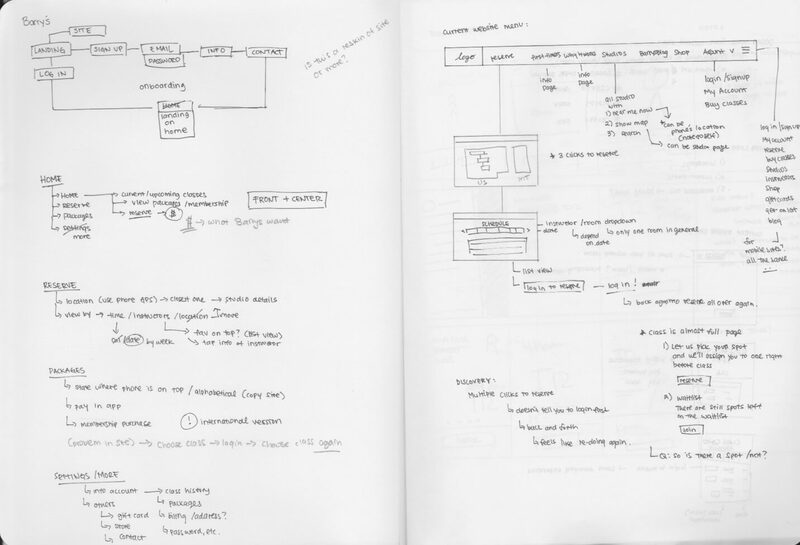 Like how it could know that your friend is also taking the same class and which spot"
Some research and sketches in my notebook of flows, design, code, and other notes to proceed designing in Sketch. The next step to this project is to show it to the different people I talked to, both clients and instructors and get their feedback. From there, I will take that feedback and make the tweaks needed.